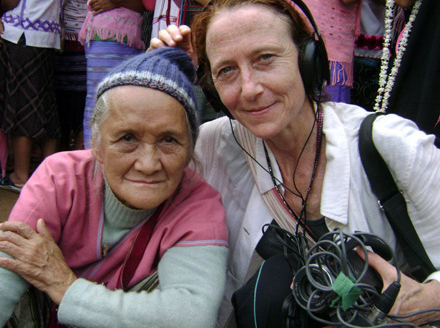 Jeanne Hallacy is an award-winning documentary maker and freelance producer based in Bangkok and San Francisco. Hallacy has covered social and human rights issues in Southeast Asia for two decades, specializing in Burma and Thailand. 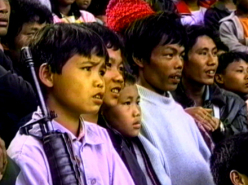 Hallacy’s documentary titles include Into the Current: Burma’s Political Prisoners (2012) distributed by Ellen Bruno Films, Mercy (meddah) (2002) and Burma Diary (1999), distributed by Documentary Educational Resources. 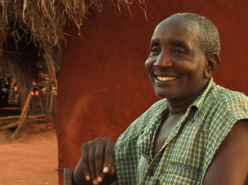 Hallacy worked as a contributing producer with AsiaWorks Television, a regional production company to produce feature news for global broadcasters and advocacy videos for United Nations agencies and international NGOs. She served as the Director of Programs and Photo Curator as an elected member to the board of directors at the Foreign Correspondents’ Club of Thailand, the region’s leading press organization. Hallacy directs InSIGHT OUT! an award-winning photo storytelling program that trains youth in conflict and post-disaster areas to tell their own stories. Now in its 11th year, InSIGHT OUT! has trained over 800 children and this year completed a series of workshops with Kachin youth in IDP camps in Burma published in the Irrawaddy magazine. Hallacy served as the Director of Programs at the Foreign Correspondents’ Club of Thailand (FCCT) for 17 years, organizing panel discussions with civil society, government and media on political and social issues impacting the region with a special focus on Burma. Hallacy’s latest film This Kind of Love is a moving portrait of the life and work of Aung Myo Min, one of Burma’s most respected human rights advocates.